The Islamic State, the al Qaeda splinter group that was disowned by al Qaeda’s general command in February 2014, operates the largest number of training facilities, with nine camps in Iraq and 12 more in Syria. In Iraq, the Islamic State has operated three camps in Anbar province, three in Salahaddin, two in Ninewa, and one more in Kirkuk. In Syria, the Islamic State has run six facilities in Aleppo province, two in Deir al Zour, and one each in Hasakah, Raqqah, Latakia, and Damascus. The Al Nusrah Front, which is al Qaeda’s official branch in Syria, has operated seven camps in the country; two each in Deir al Zour and Aleppo, and one each in Idlib, Homs, and Daraa. The camps in Deir al Zour and Raqqah are thought to be no longer operational after the Islamic State took control of the areas. The Al Nusrah Front camps are also likely the same camps used by the so-called Khorasan group, which is led by senior al Qaeda leaders and is embedded within Al Nusrah. Al Qaeda’s Khorasan group seeks to conduct attacks against the West. Ten more camps are run by jihadist groups allied with the Al Nusrah Front. Nine training facilities are in Syria, and one, run by Ansar al Islam, is in Iraq. 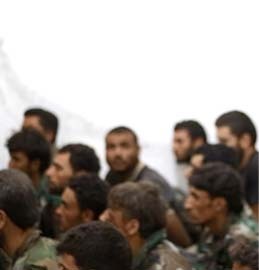 Two of the camps in Syria are operated by Jaish al Muhajireen wal Ansar and Junud al Sham. In September 2014, Jaish al Muhajireen wal Ansar was listed by the US as a Specially Designated Global Terrorist group, and Murad Margoshvilli, the leader of the Junud al Sham, was named a global terrorist. In the past, al Qaeda has used its network of camps not only to train fighters to battle in local insurgencies, but also to identify potential recruits as well as support a host of allied jihadist groups. The alliance with the Taliban provided al Qaeda a sanctuary in which to train and indoctrinate fighters and terrorists, import weapons, forge ties with other jihad groups and leaders, and plot and staff terrorist schemes. While Bin Ladin maintained his own al Qaeda guesthouses and camps for vetting and training recruits, he also provided support to and benefited from the broad infrastructure of such facilities in Afghanistan made available to the global network of Islamist movements. U.S. intelligence estimates put the total number of fighters who underwent instruction in Bin Ladin-supported camps in Afghanistan from 1996 through 9/11 at 10,000 to 20,000. In addition to training fighters and special operators, this larger network of guesthouses and camps provided a mechanism by which al Qaeda could screen and vet candidates for induction into its own organization. Thousands flowed through the camps, but no more than a few hundred seem to have become al Qaeda members. From the time of its founding, al Qaeda had employed training and indoctrination to identify “worthy” candidates. Al Qaeda continued meanwhile to collaborate closely with the many Middle Eastern groups — in Egypt, Algeria, Yemen, Lebanon, Morocco, Tunisia, Somalia, and elsewhere — with which it had been linked when Bin Ladin was in Sudan. It also reinforced its London base and its other offices around Europe, the Balkans, and the Caucasus. Bin Ladin bolstered his links to extremists in South and Southeast Asia, including the Malaysian-Indonesian JI [Jemaah Islamiyah] and several Pakistani groups engaged in the Kashmir conflict. Members of the Small Group found themselves unpersuaded of the merits of rolling attacks. Defense Secretary William Cohen told us Bin Ladin’s training camps were primitive, built with “rope ladders”; General Shelton called them “jungle gym” camps. Neither thought them worthwhile targets for very expensive missiles. Today, US officials clearly view the camps in Iraq and Syria as a direct threat to US national security. US and allied countries have targeted this network of training camps in Iraq and Syria in air and cruise missile strikes. Since Aug. 7, when the US air campaign against the Islamic State began, the US has targeted multiple Islamic State training centers in 11 airstrikes. Islamic State training camps were hit in US airstrikes in Mosul on Sept. 18; Raqqah, Abu Kamal, Dier al Zour, and Hasakah on Sept. 22; Raqqah on Sept. 27; Manbij on Sept. 29; again in Raqqah on Oct. 3 and Oct. 8; near Kobane on Oct. 10; and near Fallujah on Oct. 23. The Islamic State is known to operate training camps in the Hamrin Mountains. The Hamrin Mountains extend from Diyala province to Salahaddin province. The Islamic State operates a training camp near Haditha. On Aug. 21, 2012, the Islamic State (then known as al Qaeda in Iraq) released an extremely graphic video showing graduates from this camp killing dozens of Iraqi policemen in a nighttime raid. This camp is known as the “Sheikein Camp”. In late 2013, an Obama administration official said that al Qaeda in Iraq (now known as the Islamic State) “has a presence in terms of camps and training facilities” in Anbar province. The Islamic State is also known to operate training camps in Samarra. On Feb. 10, 2014, 22 Islamic State fighters were killed in a training camp near Samarra while receiving instruction on how to make bombs for suicide attacks. An Islamic State training camp in Ninewa was announced on July 22, 2014. Eight squads of 11 to 13 men were shown in pictures of this camp. The Islamic State released a video of a training camp in Ninewa province on Oct. 12, 2014. The video showed over 100 recruits in the camp, but it is unclear if it is the same camp. On Oct. 3, 2014, the Islamic State released photos from the “Shaykh Abu Omar al Baghdadi Camp” in Kirkuk. The pictures showcased a graduation of a cadre of fighters. On Oct. 23, 2014, US Central Command said it targeted an Islamic State training facility near Fallujah, Iraq. On Oct. 24, 2014, US Central Command said it targeted an Islamic State training facility near Baiji, Iraq. The Lions of the Caliphate Battalion, a group that has sworn allegiance to the Islamic State, posted pictures of a training camp on social media in late 2013. The group was based in Latakia province and it is unclear if the camp is still operational. The Shaykh Abu al Nur al Maqdisi Brigade, an Islamic State group mainly comprised of Gazans, released photos of a training camp in Syria earlier this year. The camp was likely in Aleppo, but it is unclear if the camp is still operational. On Jan. 25, 2014, a video was released on YouTube showing a training camp belonging to Sabiri’s Jamaat. This group is comprised mainly of Uzbek and Dagestani fighters and has since sworn allegiance to the Islamic State. On May 8, 2014, the Islamic State released a video from the “Zarqawi Camp” on the outskirts of Damascus. The camp is named after the founder of al Qaeda in Iraq (now known as the Islamic State), Abu Musab al Zarqawi. This camp also hosts a section for the “Zarqawi Cubs”; “cubs” refers to children trained to wage jihad. The Islamic State released pictures of a training camp in Aleppo on July 26, 2014. The pictures showed scores of fighters after graduating from the camp. 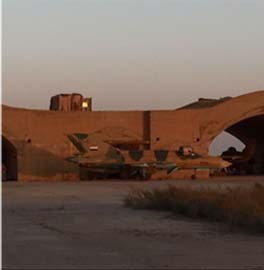 In early September 2014, the Islamic State released photos from the “Shaddad al Tunisi camp” in Aleppo province. The camp trains children and teens. On Sept. 23, 2014, US Central Command said that US and coalition aircraft targeted Islamic State “training compounds” in the vicinity of Raqqah, Deir al Zour, Abu Kamal, and Hasakah. On Sept. 29, 2014, US Central Command said that US and coalition aircraft targeted an Islamic State training camp near Manbij in Aleppo province. On Oct. 10, 2014, US Central Command said that US and coalition aircraft targeted an Islamic State training camp near Kobane in Aleppo province. In 2013, the Al Nusrah Front released a video showing a training camp in the Homs region. The video featured trainees learning how to fight in hand-to-hand combat. It is unclear if this camp is still operational. 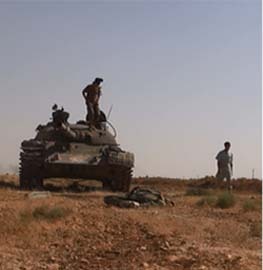 On March 17, 2014, the Al Nusrah Front released videos from two training camps in eastern Syria. These camps were named the “Ayman al Zawahiri camp” and the “Abu Ghadiya camp.” It is unclear if these camps are still operational. On May 27, 2014, the Al Nusrah Front released photos from a training camp in Daraa province in southern Syria. The facility, dubbed the “Ibn Taymiyyah camp,” trains children. On Sept. 22, 2014, the US launched 46 cruise missiles at eight locations in Aleppo that included Al Nusrah training camps. These strikes also targeted camps belonging to the “Khorasan Group.” It is likely that a sniper camp run by al Qaeda veteran Abu Yusuf al Turki was also targeted in these strikes. On Oct. 10, 2014, the Al Nusrah Front released photos from one of its training camps in Idlib. On Oct. 18, a video was released from the same camp. On Aug. 24, 2014, the Al Nusrah Front released photos from another training camp in Idlib. Sayfullah Shishani’s Jamaat, a Chechen-led group within the Al Nusrah Front, is known to operate camps in Aleppo province to train fighters to become snipers and use other weapons. On July 23, 2013, the Islamic Front’s Ahrar al Sham released a video of one of its training camps in Daraa province in southern Syria. The video showed dozens of recruits at the camp. On Sept. 7, 2013, the Islamic Front’s Ahrar al Sham released a video of a training camp in Raqqah province. It is likely that this camp is no longer operational as the Islamic State controls most of Raqqah. On Oct. 6, 2013, the Syrian group Harakat Fajr al Sham al Islamiya released a video of a training camp that was presumably in Aleppo province. 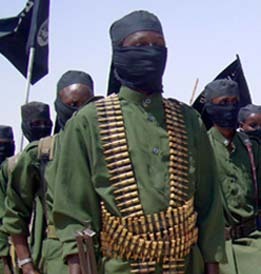 This group has since joined the al Muhajireen Army, Harakat Sham al Islam, and Katibat al Khadra (the Green Battalion) to form the Ansar al Din Front. In late December 2013 and again in March 2014, Ansar al Islam touted the “Shaykh Rashid Ghazi Camp” in northern Iraq by posting pictures and a video of the camp on Twitter. 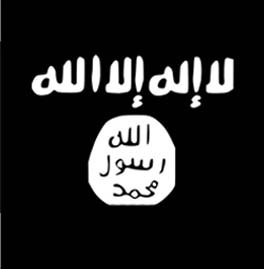 Ansar al Islam, while based in Iraq, is also known to operate in Syria. On March 25, 2014, the Islamic Front’s Ahrar al Sham released a video of a training camp presumably in Aleppo in northern Syria. The camp is said to be a “special forces” training facility. A follow-up video was posted to YouTube on Oct. 20, 2014. On April 2, 2014, the Chechen group Jaish al Muhajireen wal Ansar (the Muhajireen Army) released a video of a training camp in Aleppo. The video showed, along with traditional training, instruction in the manufacture of bombs. This group may run more than one camp in Aleppo. 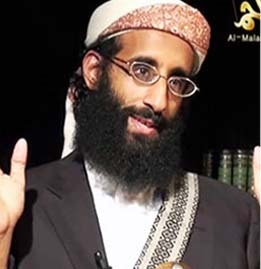 Al Muhajireen was designated a terrorist group by the US State Department in September 2014. On June 3, 2014, the Uzbek Imam Bukhari Jamaat released video of a training camp in Aleppo province. This group is allied with the Al Nusrah Front, the Muhajireen Army, and the Seyfuddin Uzbek Jamaat (a unit with ties to the Islamic Movement of Uzbekistan) within Al Nusrah. In early August 2014, a Chechen-led group named the Jamaat Ahadun Ahad, or the “Group of the One and Only,” released a video of a training camp in Latakia. Little is known about this group, as it apparently prefers to have a minimal social media presence so as to avoid the jihadist infighting and focus on battling the Assad regime. On Aug. 13, 2014, the Islamic Front’s Jaish al Islam released a video of a training camp in Damascus. The video shows scores of recruits training in the camp. Junud al Sham, a Chechen-led group based in Latakia headed by Muslim Shishani, is known to operate training camps for foreign fighters, according to the US State Department. Junud al Sham also runs a training center for children in Latakia, according to From Chechnya to Syria. Very thorough information. One question for the LWJ staff: Is there an estimate of how many trained fighters (per month)are being introduced to the fight? Is it higher than their casualty rate? Thanks for any insight. How many graduates have returned home to USA? We know where the ISIS training camps are… and they’re still there? Have we run out of planes and bombs or resolve? I’m not not actually sure on the amount for each individual camp, but I would say it seems likely that it’d be higher than their death rate. In the most recent video from a camp in Ninewa, there was easily 150+ trainees in that camp. When you add in all their camps in this list, plus the ones they keep from the public, it just seems likely it would be higher than the death rate. Keep in mind that not everyone is likely to go through camps. The same goes for Nusrah, Ahrar al Sham, etc. This is probably something that can’t be answered via open source networks. The real questions is why are we not bombing the living hell out of these camps and or doing a systematic large special ops missions against these camps.